← The NYT Sunday Book Review Weighs In! 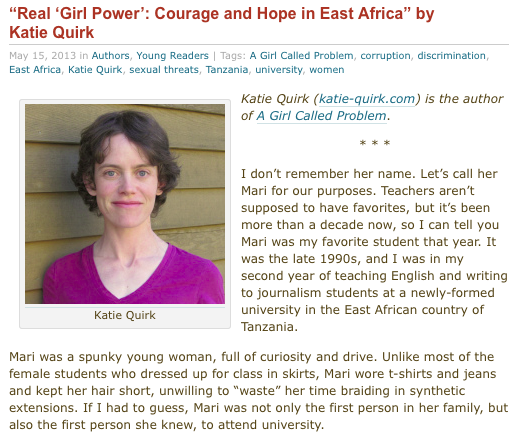 This entry was posted in A Girl Called Problem and tagged Day of the Girl Child, eerdword, girl power, girleffect.org, girls in development, Half the Sky, Plan International, sexual bribery. Bookmark the permalink.